Excellent facility and management. Move in went smoothly. Online reservation was easy. Manager was very courteous and helpful during sign up and site tour. Building is new and clean. Storage unit also clean and climate controlled. Days later I accompanied movers and move in was very smooth. Price is definitely competitive. So far I am very pleased with the whole experience. Very Clean and Great Customer Service! The facility is very clean and they provide you with great customer service, for someone like me who doesn't know anything about storage, they helped me pick the right size and all my stuff fit perfectly. I highly recommend you come here! Nice Location and clean facility, the staff were helpful and nice. Whole building is climate controlled and there is music through out the building making my move just a little more enjoyable. The store is basically brand new it is so clean inside. Manager offered me free coffee before my tour and was very satisfied with my decision. Everything was perfect here. When I called up, the people were very professional. Knew their stuff and were very helpful. When I went to move in - same. Very professional, very helpful. Very organized. Can't say enough good things about this place! Alberto and Kevin are the best to work with, very helpful and patient! They go above and beyond.. I appreciate all their help and making me feel comfortable with putting my belongings at this facility!!! Clean, efficient, and easily accessible. Sense joe left the building all the common areas have been keep clean. I see Alberto checking the building and sweeping up the isles keeping the property looking very nice. Thanks for the clean wash room it smells much better now. Very professional, helpful and honest. Great service at the location in Carol Stream. Rick and Paul could not have been nice helping my family find a storage space . A+ customer service. Best storage in the Wheaton area. These guys really know what their doing! Rental process took no time at all and with a unit right next to the elevator what more could you ask for?? Rick was very knowledgeable and friendly. Made the whole experience very quick! Recommend to anyone in the Carol Stream area! Definitely recommend this place to anyone needing storage in the Wheaton area! Just a quick note to say that Alberto made our experience really positive! He went above and beyond! Thanks, Alberto! After selling my house before finding a new place U-Stor-It was recommended by my movers. (Carlson's Brothers -- also PERFECT.) What was meant to be a short stay turned into two years. I started out in a larger unit and after one round of downsizing I moved into a smaller one. Both were perfect. It's a nice place to be....clean, safe, the corridors are well lit, the bathroom is nice. The staff could not be more helpful. Five stars. This facility is top notch, Brian and Ashtar are a pleasure to work with. Always there to greet you with a smile and ask if they can help in any way. The place is very clean and organized. Would recommend to anyone looking for storage. Very price competitive. I work over in Wheaton, and left my keys at work, Brian helped me with my spare keys when I was locked out Thanks! Great location! Ashtar showed me a 5x10 which I needed that day and I was very pleased. Facility was clean and she also showed me the loading bay which was convenient to park my truck to unload my stuff. 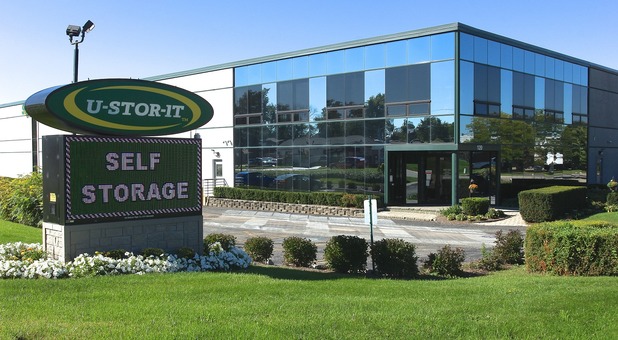 Great location right off of Gary Avenue in Carol Stream, great service and easy access. I rented many units from many places over the years, and this is one of the only places that treats me with respect. The managers here made it a breeze to get into my unit. I was looking for storage near Wheaton college to store my things when I was going home for the winter. They were very nice and made this an easy process for me, would definitely recommend to anyone else looking for something clean and secure. Only had a 5 minute drive from wheaton. The manager helped me get a great discount. Ashtar was friendly and happy to help me, she even gave coffee while I was waiting for my son.